Sweet William, or barbatus carnation, is perfect for decorating flower beds and garden boxes thanks to its magnificent colors. Sweet William is sown at the end of spring or in summer for it to bloom in the following year. Broadcast seeds without covering them after sowing, since they need light of day to sprout. 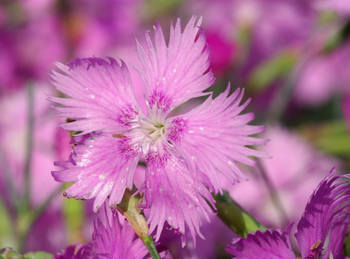 Water using a gentle spray until seeds sprout without flooding your Sweet William seeds. Sprouting usually occurs about 1 week after sowing. Transplant sweet William in fall outdoors, spacing them about 8 inches (20 cm) apart. Let your carnation spend the winter outdoors. 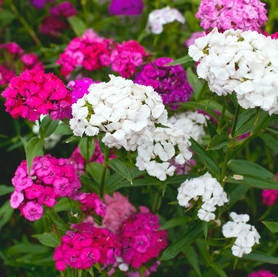 Note that your sweet William will need sufficient sun to bloom, at least 3 to 4 hours of direct sunlight a day. Sweet William carnation doesn’t require any care once it is properly settled in. Performing these few tasks will help enhance and extend the blooming. To stimulate appearance of new flowers, cut wilted flowers regularly (deadheading). The act of cutting wilting flowers off as they die helps prepare a second blooming towards the end of the season. Water in case of prolonged dry spells or heat wave only. Native to Northern Europe and Asia, the Sweet William carnation variety is sought after for its cute flowers that make superb colored bouquets, and also for its leaves and stems that make it an easy flower to cut and pair. Its flowers are striped and only rarely of a solid color, and thus bestow pinks and whites, purples and cream colors, fuchsia and pink or even violet and black. Sweet William flowers are vulnerable to rust. To avoid this, rotate them to a different spot from one year to the next. 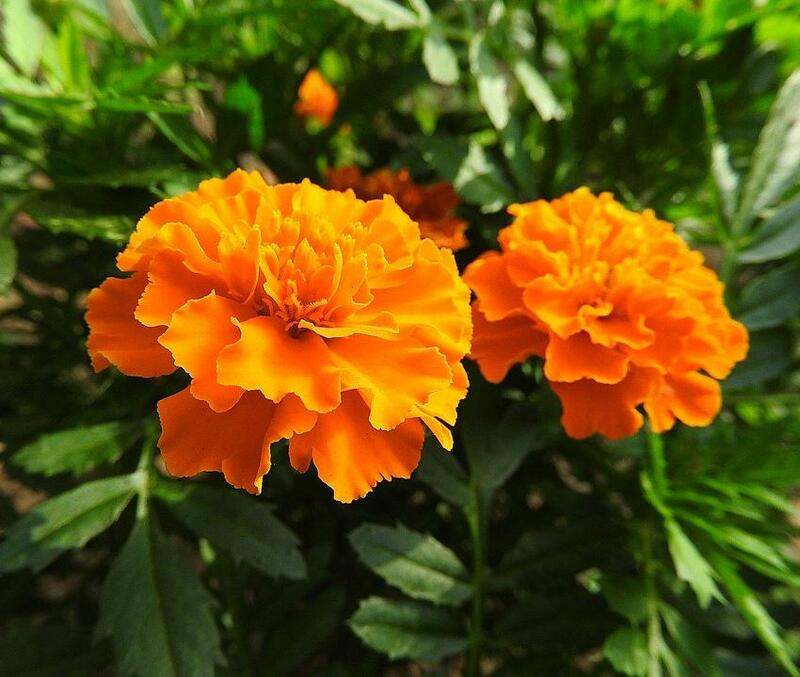 French marigold, always an impact!